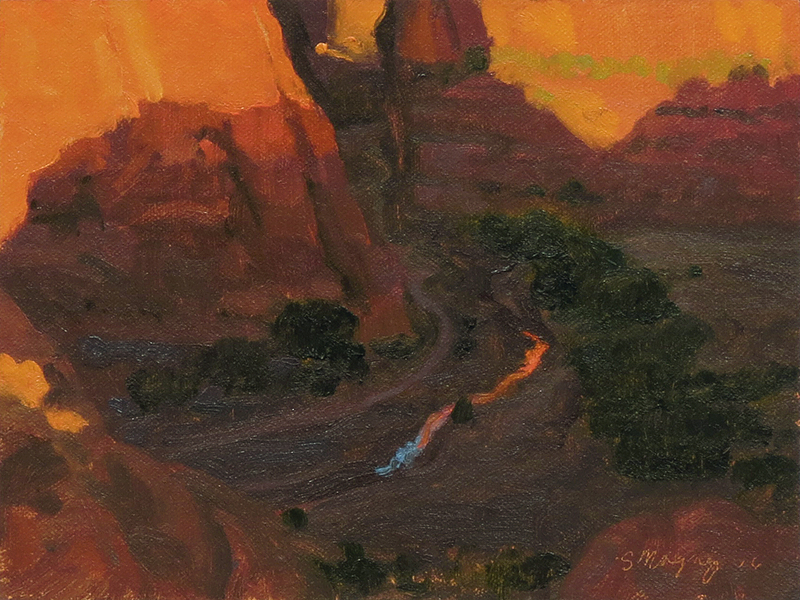 This Western landscape painting is an evening view of shadows dancing across the canyon floor and reflections on the stream at the bottom of Canyon de Chelly. 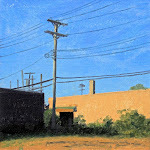 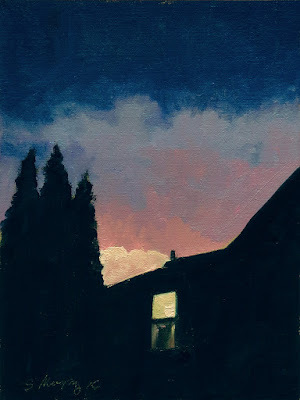 This urban landscape painting is a nocturne view from my studio of Janet's studio with the lights on. I see this view every night as I come in from working in my studio, nice to know we are alone together. 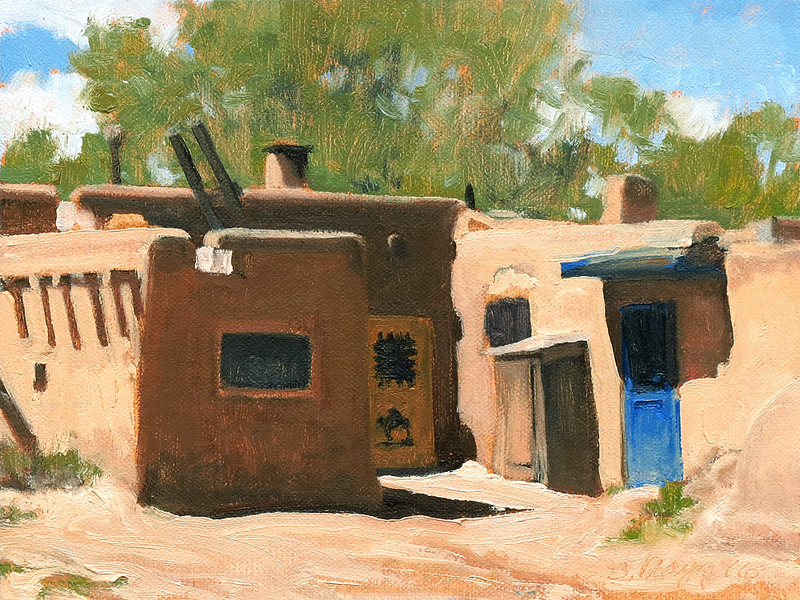 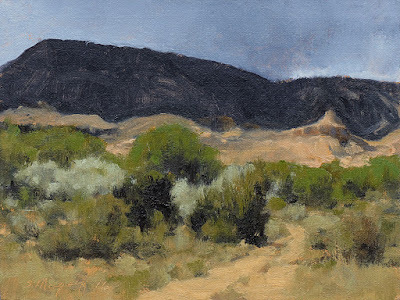 This Western landscape painting is a view of a blue door at Taos Pueblo just north of Taos. 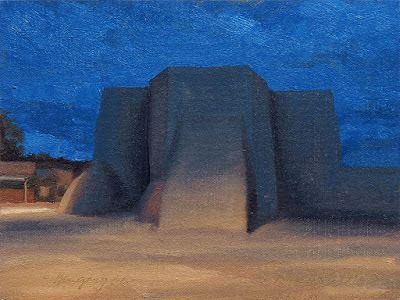 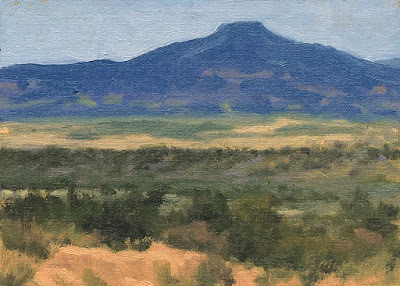 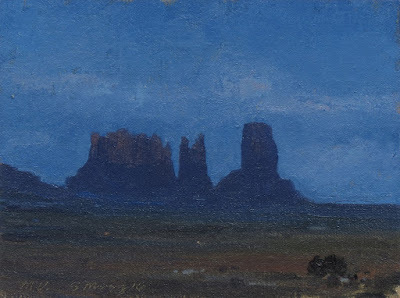 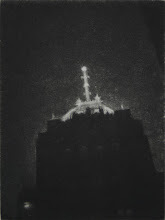 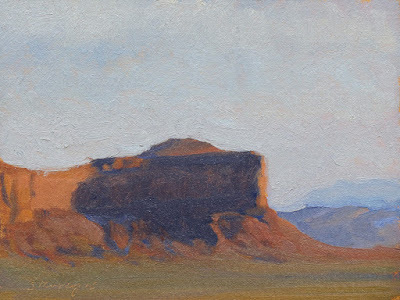 This Western landscape painting is a nocturne view of the San Francisco de Assisi Church just South of Taos. 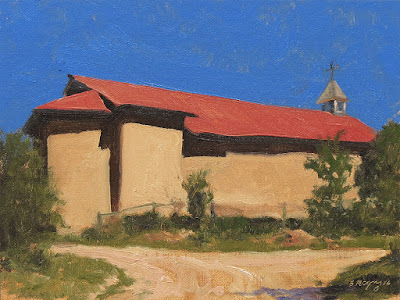 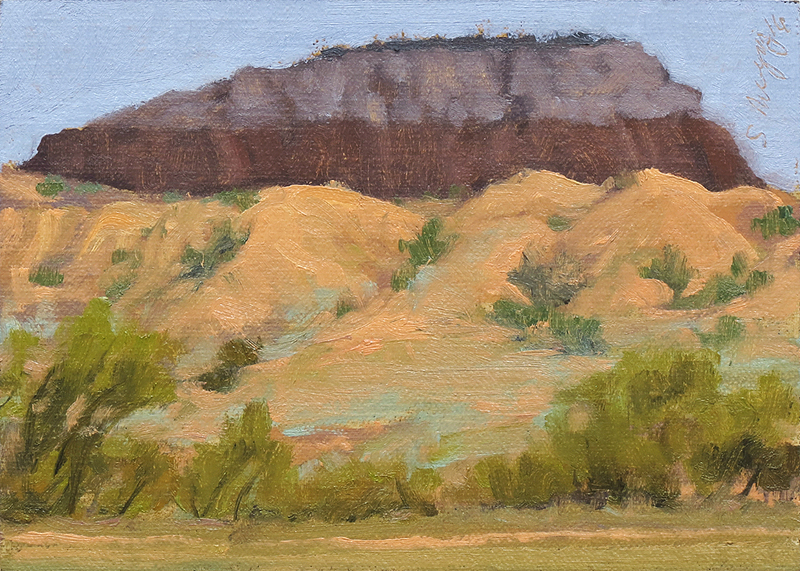 This Western landscape painting is a view of the Holy Trinity Church in Arroyo Seco, a beautiful small town just north of Taos.